We offer breast pump cool and carry bags for your fashion and function needs. Bags to fit professional grade pumps like the Ameda Purely Yours, Hygeia EnJoye, Spectra S2 and Medela Pump in Style as well as hospital grade pumps like the Ameda Elite, Hygeia EnDeare and Ameda Platinum Breast Pumps. Our flat rate shipping is $6. Orders over $69 receive free shipping. Deluxe Tote & Mother’s Milk Cooler Bag are perfect for transporting your pump and breast milk! Versatile freezable breastmilk cooler bag holds up to six bottles! Motif Maylilly Tote allows you to bring your Motif Duo pumping supplies and personal accessories with you in an organized bag! Breast pump cooler bag holds your personal breast pump and more! Premium ice pack freezes to 5°F to keep your breastmilk cold during transport! Contoured cooler pack for your breast pump carrier keeps up to 6 bottles cold for 10-12 hours! Store and air dry your breast pump parts all in one bag! 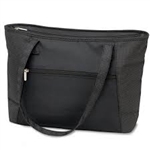 Zip close bag with hang loop is machine washable! Air-dry your breast pump collection parts and bottles in this convenient bag! Keep your breastmilk cold with these blue ice packs in your breast pump cooler tote! Slimline ice pack fits your breastmilk cooler carrier to keep your breastmilk fresh! Keep breast milk cold for transport with these re-freezable blue ice - fits most breast pump cooler bags!